Here are some of the activities my creative children participated in while I was sick and mostly immoble during the first three months of my pregnancy. 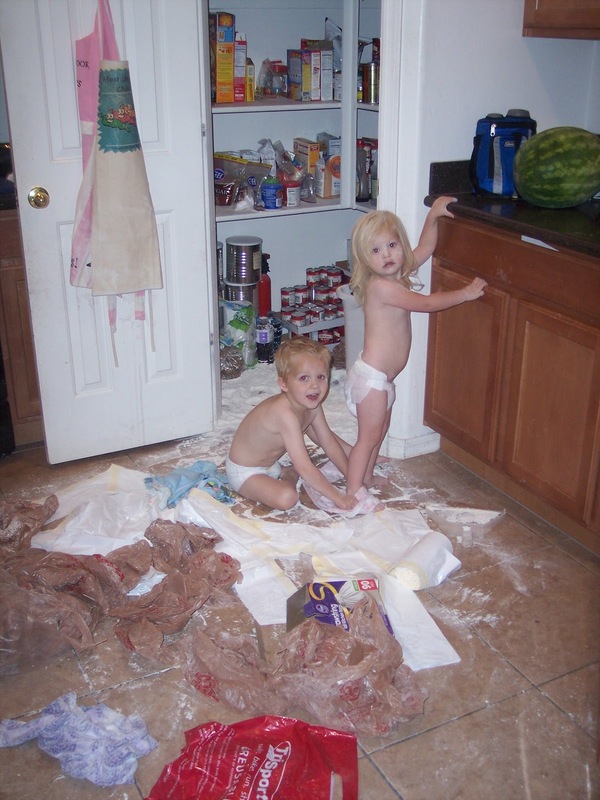 As a side note: The bottom shelf of the pantry is probably not the best place to keep flour. Somehow the children found the crayons that up until this point were hidden in a drawer and I only pulled them out when I could sit and color with them. There is not one unmarked wall in my entire house. The kids' bedroom has so much crayon on the walls (basically an entire mural) that I know it was a combined effort of all three of them. As a side note: Flat paint is impossible to clean. Never have white walls with flat paint in a house full of budding artist children. My 4 year old had made a ghost in preschool using glue and cottonballs. They'd glued the cottonballs to the inside of the body of the ghost and he was very proud of it. Later that day... he found the cottonballs in my bathroom and the bottle of tacky glue in my craft box and glued cotton balls all over the floor and walls of our play room. As a side note: Glue does not wash out of carpet, even after multiple carpet shampooing attempts. The kids found a permanent marker. I should probably just stop there, but I just can't. As a side note: Rubbing alcohol takes the worst of the permanant marker off of skin. The faint remains just have to wear off over time. Hahahaha! LOVE it! 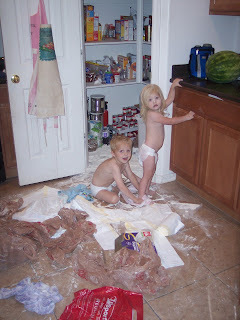 My kids once did the "baking" trick while I was in the shower. I came into the kitchen and flour was EVERYWHERE. My kids looked like little ghosts. I gasped in shock for a few seconds, then I, too, ran and grabbed my camera. Someday, I will tell you my story about how my daughter colored my son with a marker. Someone saw it, thought it was a bruise, and reported me for child abuse. 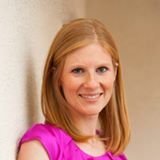 Of course, that also happened while I was pregnant. Just stand (or sit if you're too sick to stand) back and marvel at the enriching, creative upbringing your children are receiving.